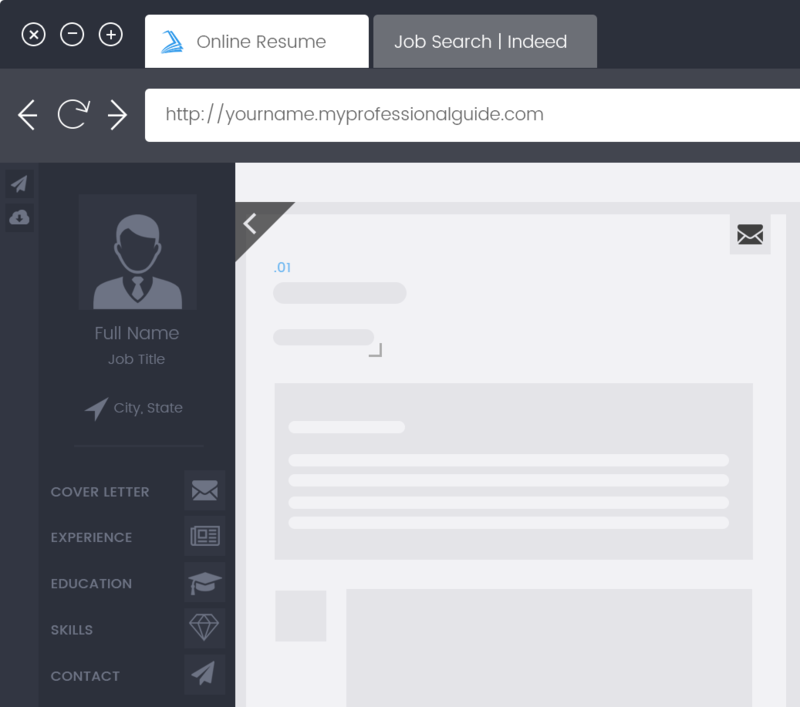 Enhance your digital profile with an online resume. Your online resume will be hosted on My Professional Guide’s secure server at no additional cost. Of course our ready to view v-card link will be provided upon completion. What is an online resume? Online resumes are readily accessible with just one click for any employer or potential business partners to view. This is a platform we decided to offer with our creative professionals in mind, it is truly a great way to exhibit projects like that of reels for our assistant producers, blueprints for our architects & engineers and marketing material for our advertising professional. 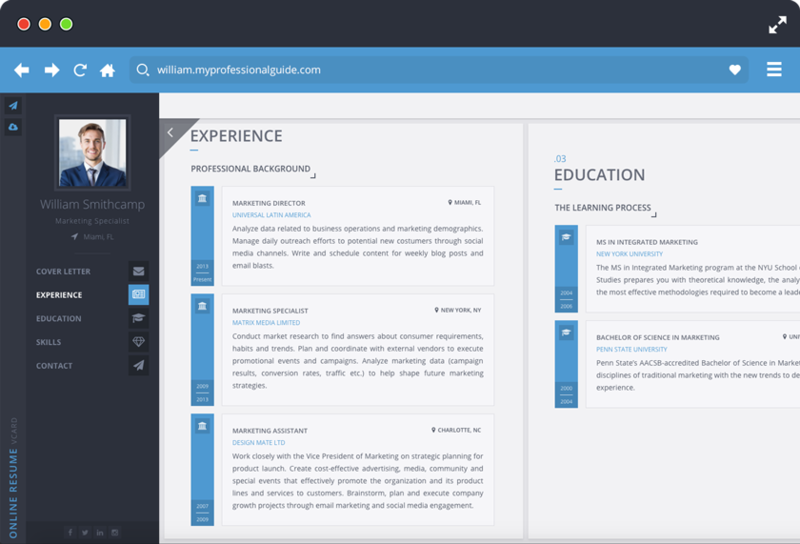 Your online resume will contain the same information that was used to construct your resume. Alongside projects, pictures, videos or any other fun fact you would like to add. Get monthly career advancement and job search tips delivered to your inbox.